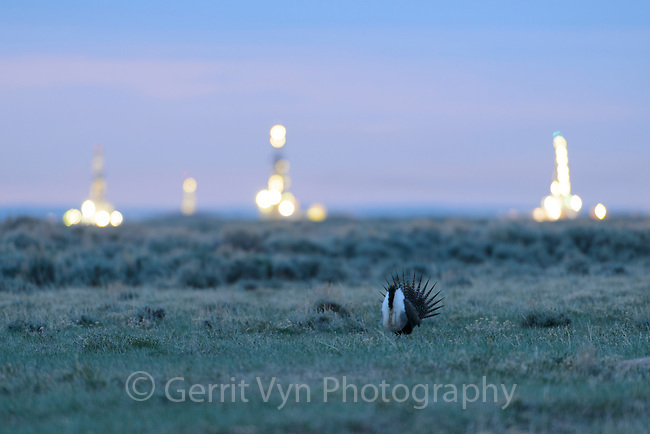 Greater Sage-Grouse (Centrocercus urophasianus) and natural gas drilling rigs at dawn on the Pinedale Mesa. Sublette County, Wyoming. May.